This is an original production drawing from the Walt Disney Studios production of Pinocchio (1940). 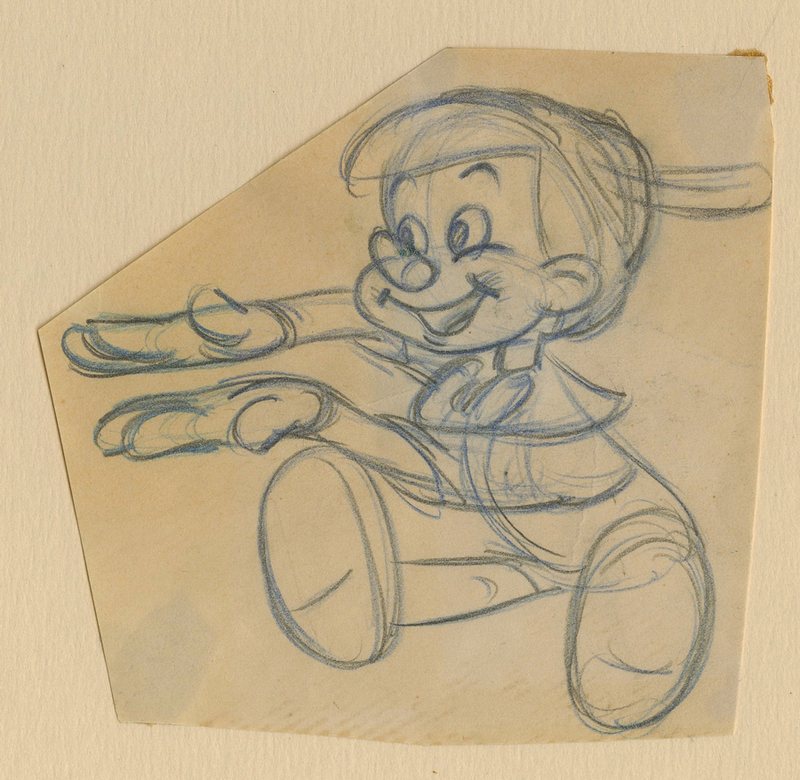 This drawing features an adorable image of Pinocchio himself, and was created at the studio and used during the production of the film. The image itself measures 3.5" x 3.5" and the drawing is trimmed close to the character image as it was originally owned by a studio inker who had it trimmed down and displayed in a scrapbook. The drawing is in good condition with some adhesive remnants from its scrapbook displaying.